This captivating series premiered yesterday evening in the UK on Sky Arts 1 and Sky Arts1 HD. The series is a fascinating look at the difficult journey Isabella of Castile endured on her way to the throne. It details her life from her late childhood to her ascension and marriage to Ferdinand II of Aragon. The series is entirely in Spanish with English subtitles and features some stellar acting with Michelle Jenner as Isabel and Rodolfo Sancho as Ferdinand II. Bárbara Lennie plays the seductive and manipulative Queen Juana, who was accused of having numerous affairs because her husband, King Enrique (Henry IV of Castile), was rumoured to be impotent. Pablo Derqui gives a powerful performance as the conflicted and erratic King Henry IV, who has open dissension on his hands and is at the centre of insidious gossip because of the affair between the Queen and his favourite, Beltrán de la Cueva, played by William Miller. In the opening episode, we see Isabel as a young lady living with her mother and brother Alfonso. Queen Juana and King Henry are having problems conceiving an heir. Once the Queen becomes pregnant, Isabel and her brother Alfonso are ripped away from their mother and escorted to Castile so that King Henry can protect his interests to the throne. After the Queen gives birth to a girl, rumours swirl about a potential tryst with Beltrán. Isabel and the Queen show the beginnings of a contentious and difficult relationship, with Isabel not willing to back down from her rightful place as heir presumptive and Queen Juana desperately clinging to any means of support for her daughter’s claim to the throne. Meanwhile, the King faces mounting opposition as nobles openly squabble over their loyalties and the episode comes to a close. This looks like it’s shaping up to be a great series; it’s interesting, refreshing and well produced. For our UK viewers, this is time well spent. 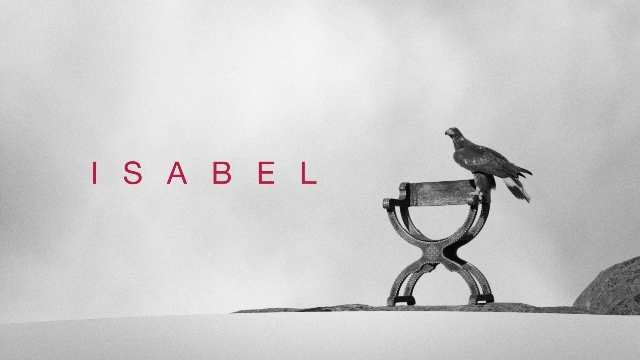 The next episode of Isabel airs on Sky Arts 1/Sky Arts 1 HD Tuesday, October 1st, at 1:00am, Wednesday, October 2nd at 21:00 and Friday, October 4th at 22:00. *All times are given in GMT.